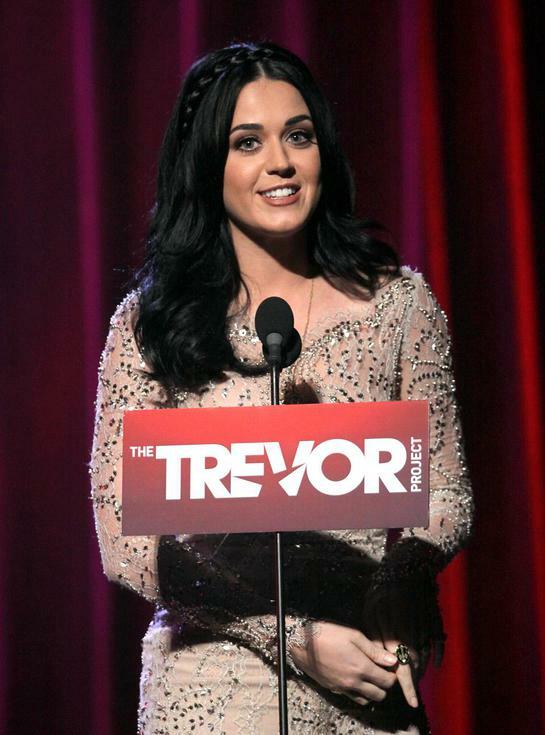 On Sunday, December 2nd, The Trevor Project honored international super star Katy Perry with the Trevor Hero Award and Audi of America with the Trevor 2020 Award at “Trevor Live” in Los Angeles. As performers and special guests arrived for Trevor Live, hundreds of thousands of people tuned in online for a special live stream of the red carpet, hosted by WhatsTrending.com. Co-hosts Shira Lazar and Tyler Oakley interviewed dozens of talented supporters of The Trevor Project and lesbian, gay, bisexual, transgender and questioning (LGBTQ) youth for a 2-hour live red carpet arrivals show, sponsored by Toyota Financial Services. 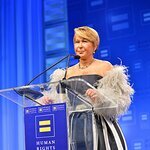 This high-profile annual event benefits the life-saving, life-affirming work of The Trevor Project, which provides crisis intervention and suicide prevention services to LGBTQ teens and young adults. “Trevor Live,” directed by Adam Shankman, featured performances by Sara Bareilles, Laura Benanti, Betty Buckley, Kristin Chenoweth, Darren Criss, Jesse Tyler Ferguson, Barrett Foa, Anna Kendrick, Matthew Morrison, Dermot Mulroney, Kayla Radomski, Andrew Rannells, Naya Rivera, Kyle Robinson, Jessica Sanchez, Ryan Teddar, with celebrity Voice of God, Amy Poehler. “Trevor Live” featured special appearances by Christa B. Allen, Justin Bartha, Chris Colfer, Whitney Cummings, Derek Hough, Sarah Hyland, Rashida Jones, Jason Kennedy, Ricki Lake, Samuel Larsen, Jane Lynch, Ashley Madekwe, Gabriel Mann, Joel McHale, Kevin McHale, Pauley Parrette, Connor Paolo, Zachary Quinto, Zoe Saldana, Brittany Snow, Jenna Ushkowitz, Bebe Wood, and celebrity guest DJ Samantha Ronson! The Trevor Hero Award honors Katy Perry for empowering youth and increasing visibility and understanding of the LGBTQ community. The Trevor 2020 Award recognizes long-time Trevor supporter Audi of America as a progressive organization that supports the LGBTQ community. The Trevor Project is the leading national organization providing crisis intervention and suicide prevention services to lesbian, gay, bisexual, transgender and questioning young people under 24. Every day, The Trevor Project saves young lives through its free and confidential lifeline, in-school workshops, educational materials, online resources and advocacy. Honored by the White House as a Champion of Change, The Trevor Project is a leader and innovator in suicide prevention.